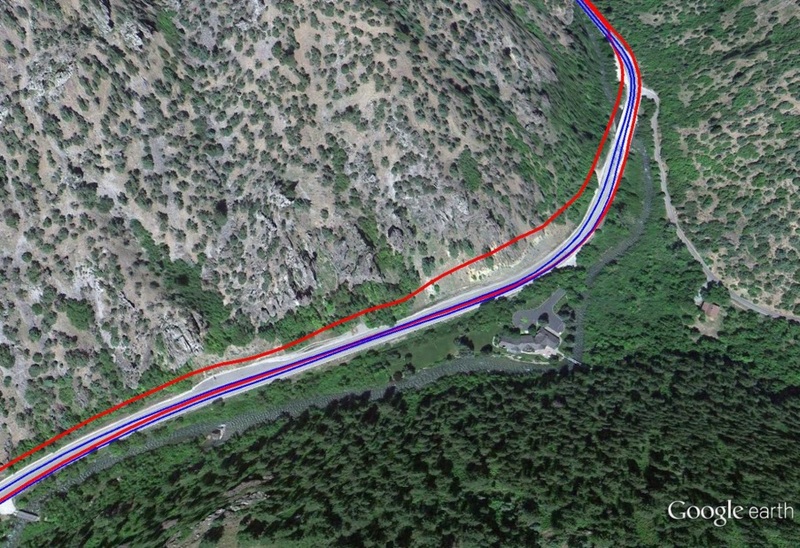 The above images show the GPS data that was collected on a drive up the canyon and back, using two rugged handhelds. 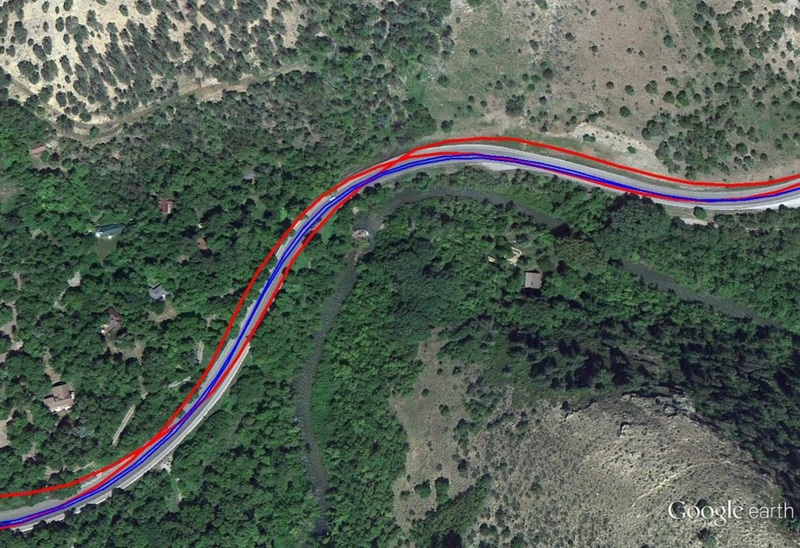 It’s plain to see that the blue lines are far more accurate. So can you take a guess at which handheld produced the blue lines? That’s right, the Archer 2! The red lines were produced by another handheld which uses a typical GNSS receiver commonly used in many rugged handhelds. So what’s the difference here? How is the Archer 2’s GNSS receiver able to produce more accurate results? Well, there are actually several differences between the Archer 2’s GNSS receiver and others. However, there is one small difference that makes all the difference in the world, especially in challenging terrain like canyons, tall buildings, and tree canopy. This one small difference lies in the Archer 2’s ability to simultaneously utilize the U.S.’s GPS and Russia’s GLONASS satellites, when most rugged handheld GNSS receivers can only utilize one system at a time. To illustrate, think about all the GPS satellites currently revolving around earth, represented in dark blue below. 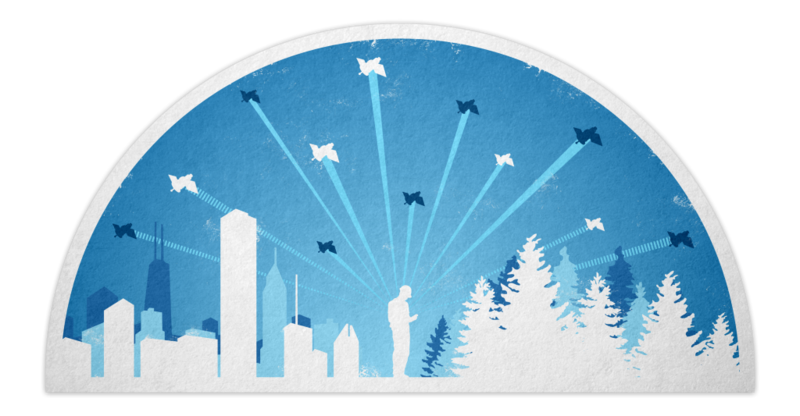 Now, imagine that you’re standing in a canyon, or next to some tall buildings or trees. Only a few of those GPS satellite signals will be able to reach you. However, remember that there are also GLONASS satellites revolving around earth, represented in white below. If you are able to utilize those signals in combination with GPS signals, then you will have more accurate and reliable data. 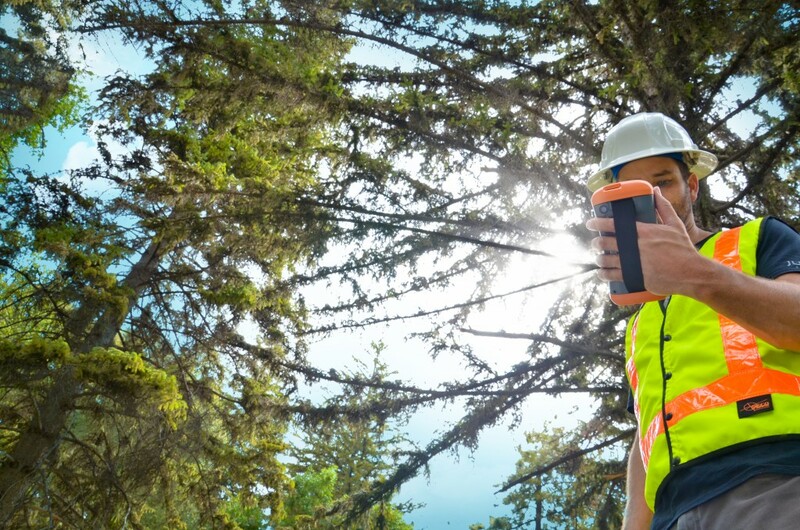 Because most rugged handhelds only utilize one satellite system, they have limited reception when those satellite signals become blocked in challenging environments, and as a result, accuracy and reliability are degraded. However, because the Archer 2 can utilize both GPS and GLONASS simultaneously, it can “fill in the missing pieces” and produce highly accurate data. See the example table below—mind, these are arbitrary numbers used to illustrate the concept. The additional satellite signals allow the Archer 2 to reliably collect more accurate data. Receives code, data, and has carrier tracking, meaning that it can better account for sources of error. Because of carrier tracking, it can be post-processed for higher accuracy. The antenna has been specially tuned to the GNSS receiver, allowing for optimal performance. Think of it this way: an antenna is to a receiver as a car’s transmission is to its engine, so it’s extremely important that the antenna works superbly with the receiver. Many competing products use an off-the-shelf antenna which is not necessarily optimized for their receiver. These differences are what take the Archer 2’s GNSS data to the next level, and we’ve seen some seriously impressive results from actual users. Learn more about the Archer 2 by contacting Juniper Systems.